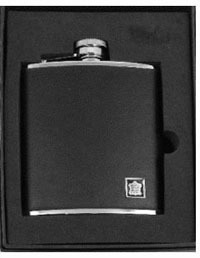 Black leather covered with captiva top in a presentation box. 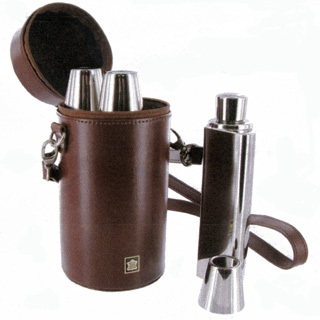 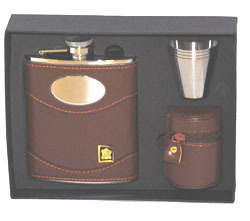 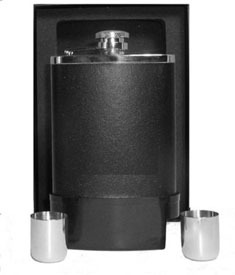 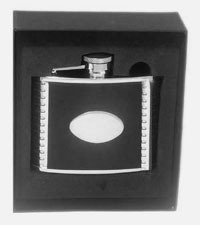 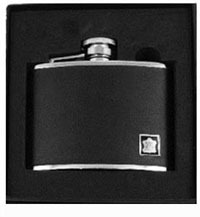 Ribbed sides, oval engraving plate and captiva top and this hip flask is available in a presentation box. 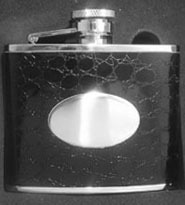 Crocodile skin pattern with captiva top and engraving plate in a presentation box.